Ultimate Guide - Should You Refinance Or Get A HELOC? Should You Refinance Or Get A Home Equity Line Of Credit? If you are looking to make some improvements to your home, but you don’t want to dip into your personal savings, there are some options for you to consider. You might want to consider refinancing your mortgage or taking out a home equity line of credit (HELOC). If you don’t know what either of these options are, don’t worry, that’s where we come in. In this article, we are going to talk about the difference between the two, and what considerations you need to think about when deciding which of these options you want to go for. When you replace the mortgage that you have with a different type of loan, this is known as home refinance. Many people will refinance if they want to lower their monthly payments for their mortgage, or if they are trying to reduce the interest rate. Another reason people do this is to change their loan program. So, they may currently have an adjustable rate mortgage, but they want to switch to a fixed rate mortgage. You can get what is called a cash-out refinance, in which the loan amount on the owned property is beyond the cost of the transaction. A home equity line of credit (HELOC), is a loan that is set up as a line of credit. It’s like a credit card with a maximum amount to be loaned over a period of time instead of as a lump sum. Where a home equity loan is usually a lump sum paid to the borrower with a fixed payment term. The borrower can borrow up to the maximum amount within the draw period which will be set by the lender, and then the amount paid back will be whatever has been drawn, plus interest. The same as with a credit card, the borrower might have a minimum repayment due each month, but they can pay any amount they like as long as it is over the minimum that has been set. One of the most important factors that you should be looking at when it comes to considering your options on refinancing versus a HELOC is time. You need to be thinking about the amount of time that you are going to be keeping your home before you can even consider looking into interest rates, cost etc. This is because depending on how long you will have your home, this will be how long you need to pay back the amount of money that you will have borrowed. Both of these loan options will provide you with the same thing, the money that you need to make the home improvements of your dreams. However, each loan type does have a distinct purpose so you need to make sure that you have considered all of the factors before you choose one. For example, a home equity line of credit involves adjustable rates that they can change on a monthly basis, whereas the cash option for refinancing is going to be better long-term. A HELOC only has interest based on a per month basis, and this might sound enticing, which is why so many people opt for this. However, what most people forget is that because this is the case, the interest rate can rise from month to month. So, a payment you could afford today, may change (and may not be the case) by tomorrow. This won’t happen with a cash-out refinance loan and is an important reason why you need to consider the amount of time you need the loan for. As a borrower, one of the first things to take into consideration when you refinance is the mortgage interest rate. People like to feel as though they have managed to get the lowest interest rate possible, and this is what makes them feel good about accepting the new loan. The thing that you need to remember here is that if you are going to be completing home improvements, the mortgage interest rate is likely not going to be as important as the level of risk that you accept when you swap over your loan. If you have a fixed amount of interest right now, such as 6%, it isn’t going to make much difference if the HELOC interest rate is higher than this at something like 10% if you only need the money for a short period of time. This is because most of the money that you owe for your mortgage debt is still going to sit at 6%. However, if you need the money for a longer period, then passing up a 7.5% blended interest rate is not going to make much financial sense. This is why you need to look closely at the two options and look at the interest rates immediately after you have decided how long you need the loan for. Closing costs are going to be an important consideration and it’s one that many people often forget about. 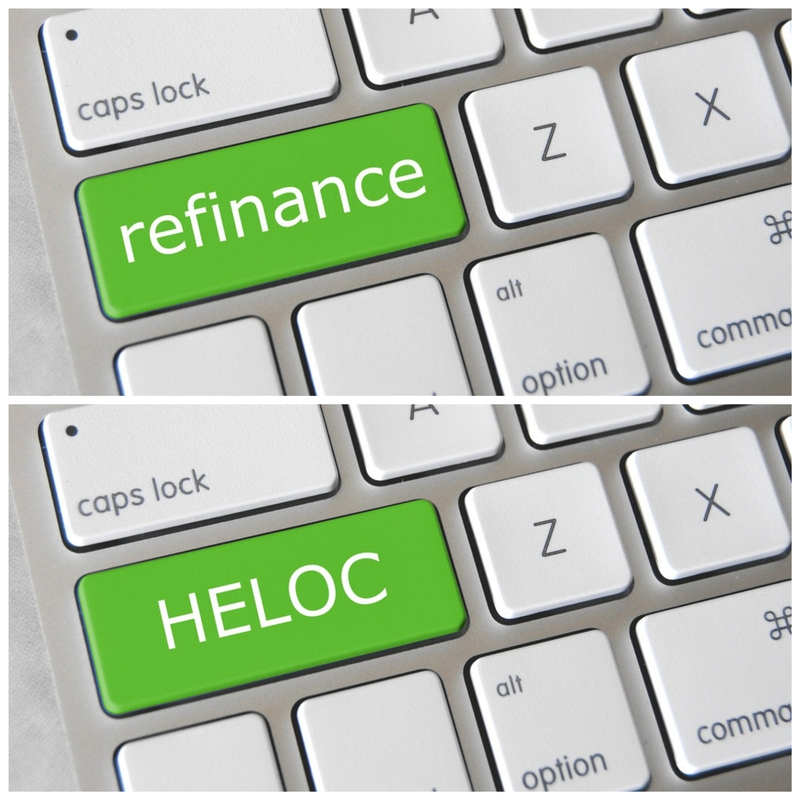 If you look at it objectively, the HELOC will typically be less expensive than a total refinance, meaning that if this is going to be an issue for you, you want to be considering a HELOC. You do however need to keep in mind the risk that you take with the adjustable interest rate with a HELOC, and when you are considering this, make sure you include the overall cost in your calculations. What we mean by this is that you need to compare the short-term closing costs total with the long-term cost of all the repayments added together. Both of these loans are going to have some sort of cost attached to them, and it is important to do thorough research into what each option means for you. If you need something that is fixed term, a HELOC is not going to be good for you. 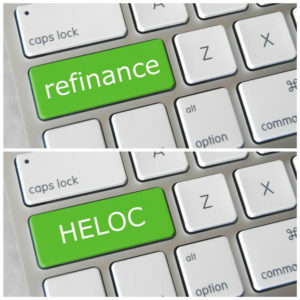 One of the main advantages of getting a HELOC over a home refinance is that it is better for short-term situations. 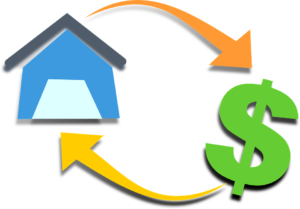 Where refinancing a home would be more practical and cost-effective in the long term, a HELOC is going to be the best solution for those people who are going to be in the position to pay back the money sooner rather than later. As the money is not given in a lump sum, the borrower does not have to use all the money on the credit line and therefore may find themselves owing less. On the other hand, if you are looking for something over a longer period, you need to consider a refinance loan as it will give you a better amount of savings over the years that you borrow. This is going to be the case even if the interest rates go up and down throughout the loan period. Home equity loans also provide tax benefits. Unlike a typical loan that you could be using, the interest rate of a HELOC can be partially tax deductible. Always consult with your tax advisor for additional information before making decisions in this regard. Another big benefit is that you don’t have to worry about needing a super credit score. Your credit score typically doesn’t have a significant impact on whether you get approval for a HELOC. Although, you may still need to deal with higher interest rates and greater fees if your score is poor. Finally, HELOCs are completely accessible. So, whenever the borrower requires money, they can simply make a withdrawal. This is completed through a check or a credit card. There are several notable disadvantages with using a HELOC that must be considered before you fully commit to obtaining one. The first is the possibility of foreclosure. If you are granted a home equity line of credit through a lender, the borrower’s home is then used as collateral. Defaulting on a HELOC then puts you at risk of losing your home. As such, it becomes crucial that you do manage to keep your payments on time. Furthermore, HELOCs come with a certain level of uncertainty. Your credit line could be reduced or the HELOC frozen due to changes in home value or your credit situation. As well as this, HELOCs use variable rates. This means that you will need to be cautious of spikes in ratings. This makes it incredibly difficult to know what your bill will look like on a month to month basis. You could also be at risk of developing more debt by using a HELOC. It’s quite common for HELOCs to be used to cancel out bills due on high-interest credit cards. This does make sense because they often have lower interest rates. However, it is possible and indeed common to accumulate more debt when attempting this. As you can see there are several determining factors for you to take into consideration when deciding whether or not you should refinance or get a HELOC. Both loan types have their advantages and disadvantages and work differently according to different scenarios. For more information on these options, speak with a loan representative at a mortgage company in Chicago or elsewhere. They can help you decide which one is the best fit for you. This entry was posted in homebuying, Tips and Tricks. Bookmark the permalink.